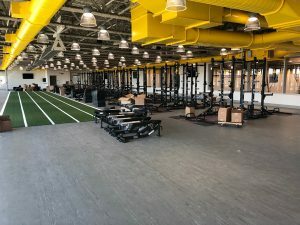 The new Fieldhouse at Hononegah High School, which replaces the collapsed Athletic Dome, is set to open Friday, April 5th. 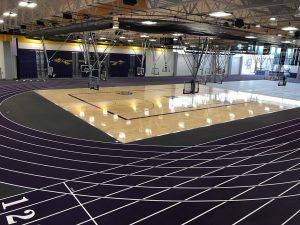 Hononegah High School chose Kiefer USA to install 70,000 sq. ft. of Mondo flooring throughout their new fieldhouse, along with a Connor wood basketball floor and a weight room! 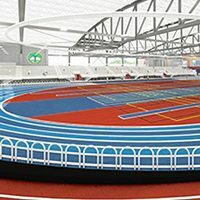 The surfacing installed in the fieldhouse consisted of a 200 meter Mondo Super X 720 running track, 2 Mondo Advance courts, and a Connor Rezill Channel 01 wood court. 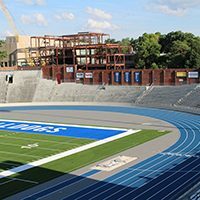 The weight room consists of 8 double-sided platforms in Mondo Ramflex and our AT755 indoor turf. 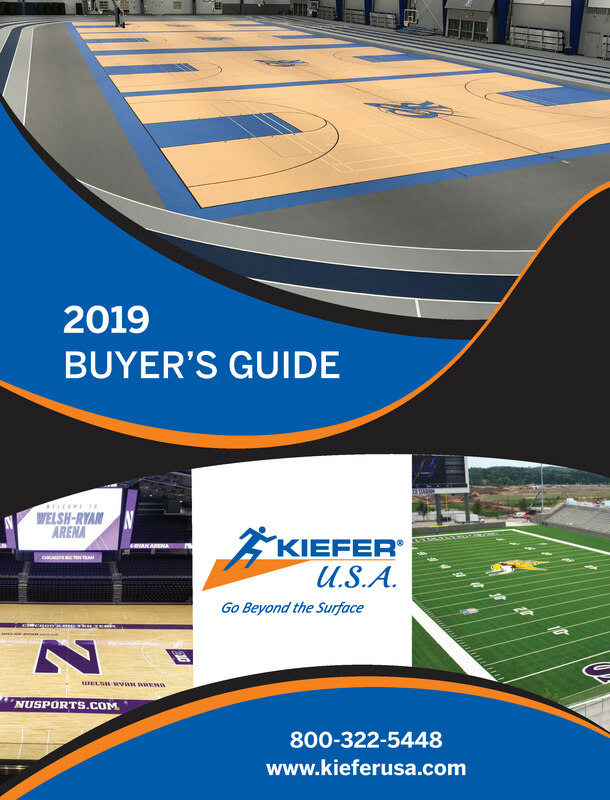 This installation is a perfect example of the talent we have at Kiefer USA. 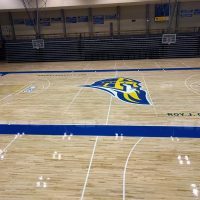 Our installers really went above and beyond at Hononegah and we couldn’t be happier with how it turned out. 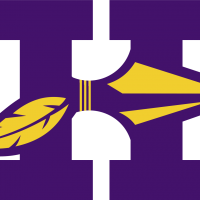 We are very excited for Hononegah High School and the whole Hononegah area to start using their fieldhouse and enjoy it for years to come!